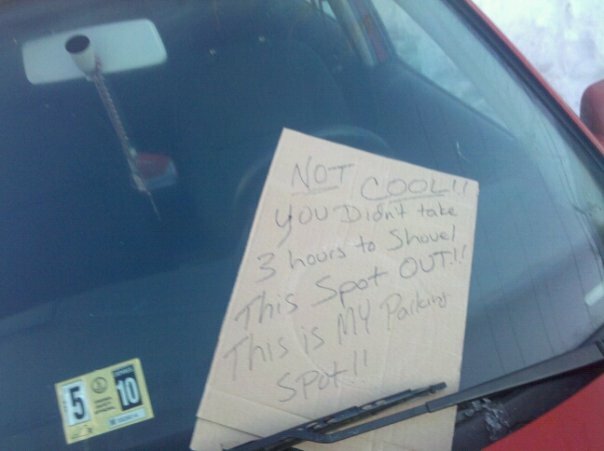 “When I first moved to Chicago,” says Mike, “my grandfather told me about parking in the winter. 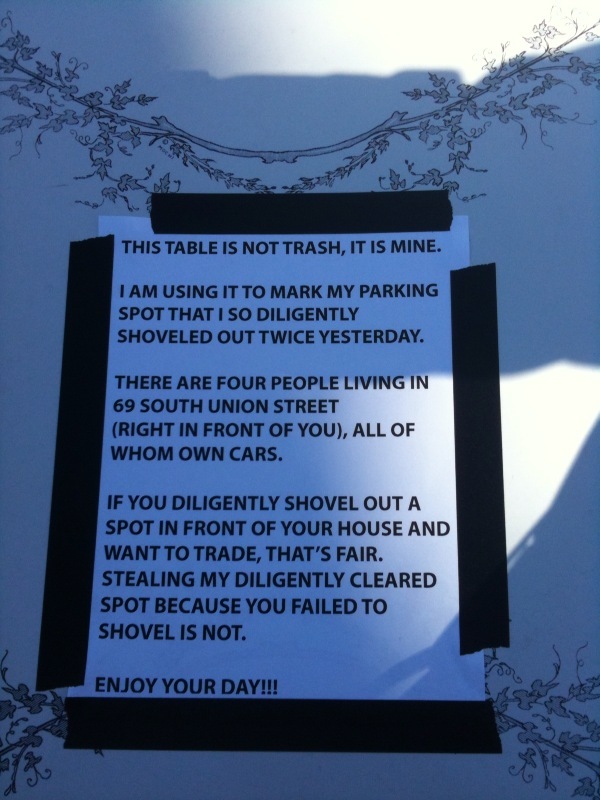 One would dig out a spot and insert a chair, reserving the spot for your trouble.” One of his neighbors, it seems, didn’t get the benefit of such grandfatherly wisdom. 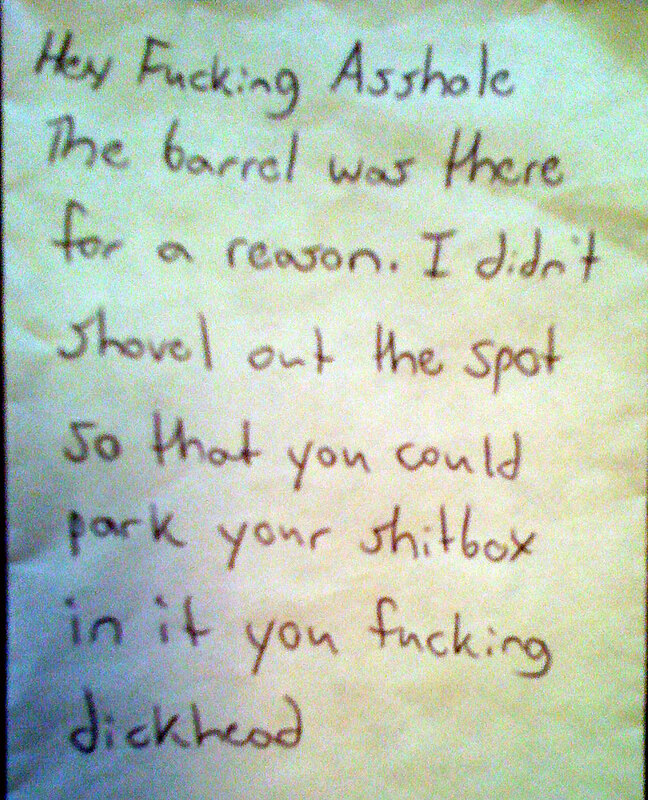 Neither, apparently, did Chris…who made the mistake of parking in an empty space outside his friend’s house in Chicago for few hours. 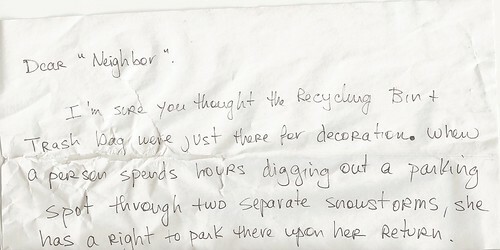 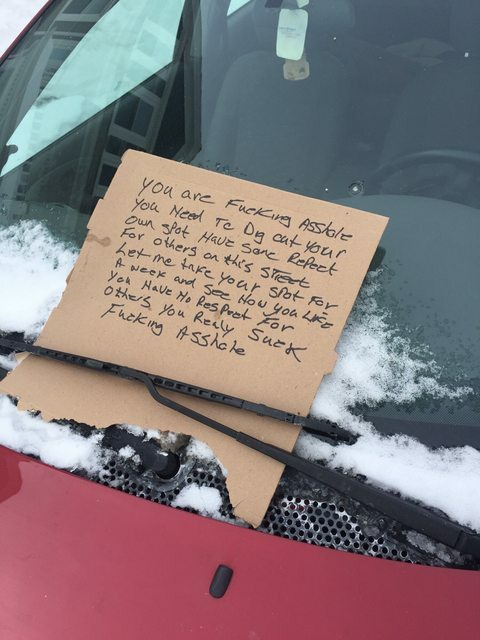 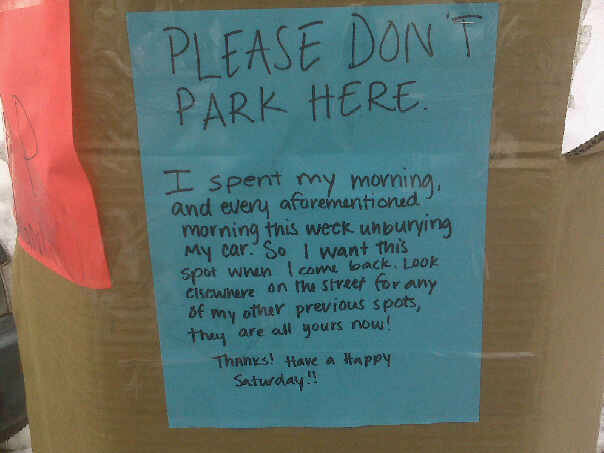 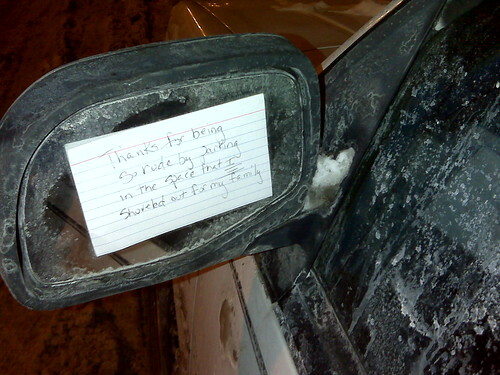 When he got home, he found this note affixed to his mirror with glue. 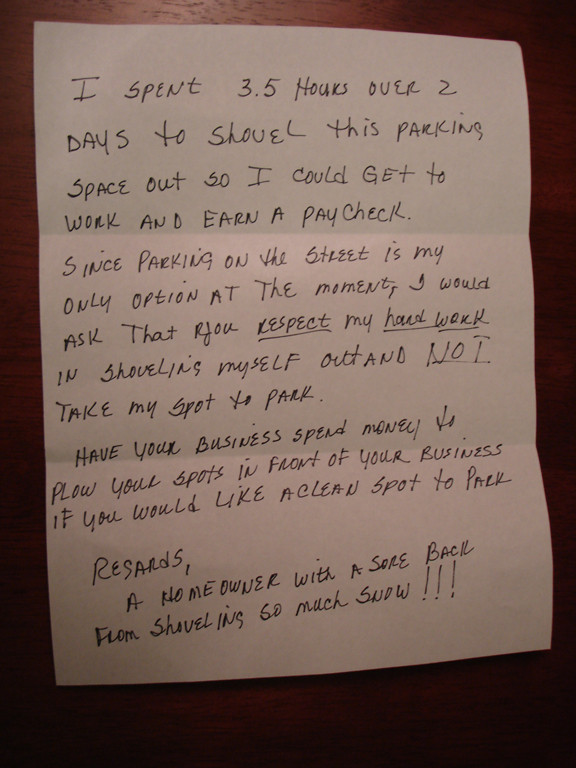 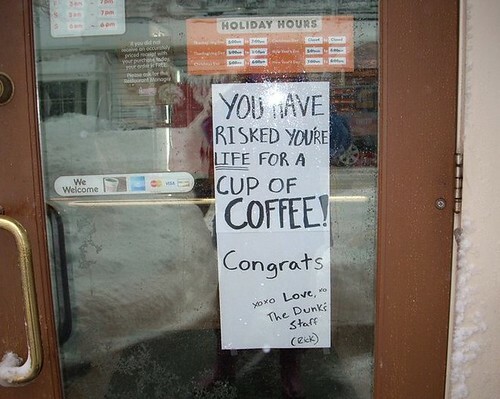 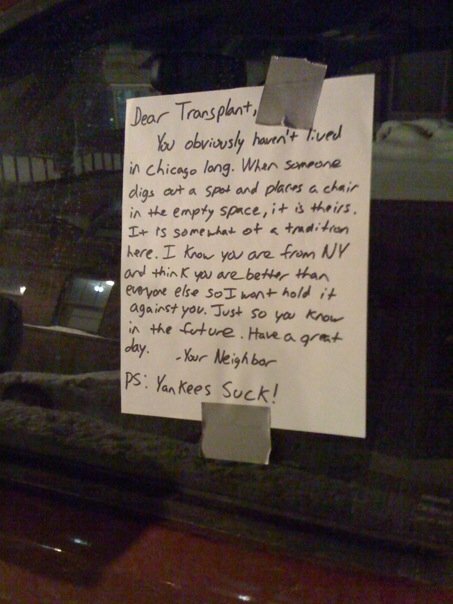 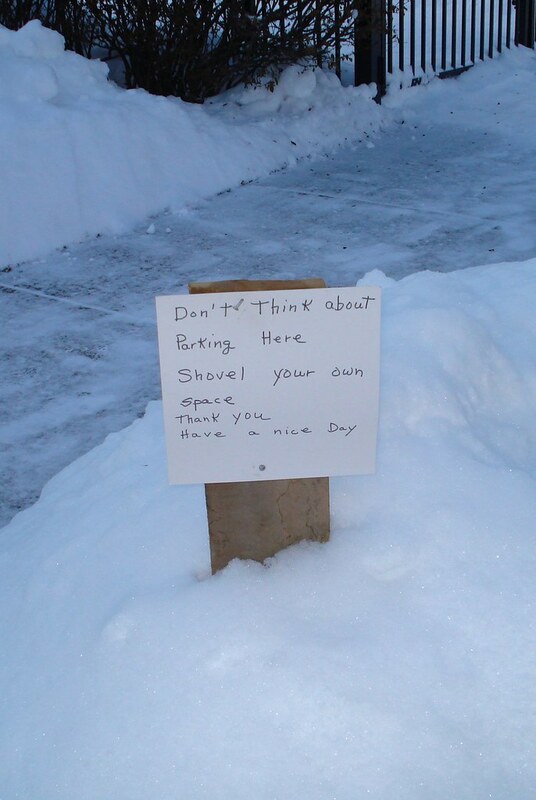 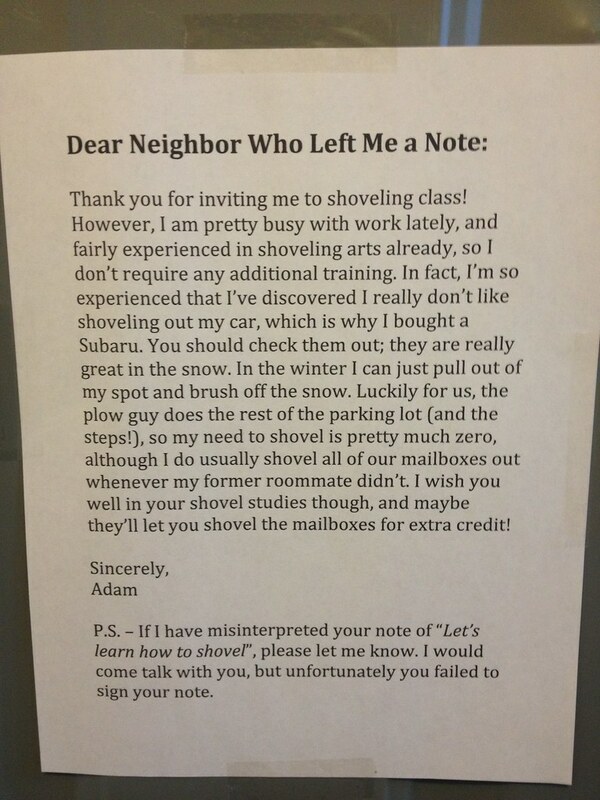 And of course, Chicago isn’t the only city that takes its snow-shoveling etiquette seriously. 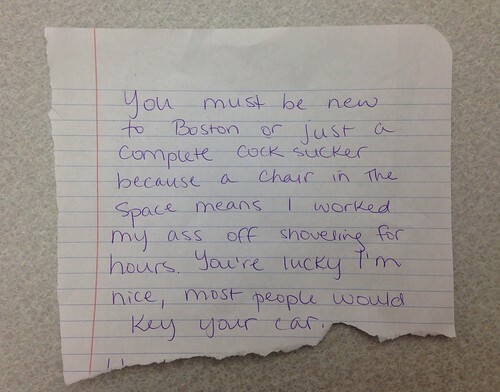 Or Chris in Boston…where they’re always keepin’ it classy.